Can it really be the end of August?! That month flew right by me. We had some beautiful entries into the challenge this month and wanted to send a big Thank You to all who played along. So without further adeiu we want to announce the 2 winners of the One Crazy Stamper August BINGO challenge. As a reminder, here are the prizes up for grabs. Random.org chose #3 & #2 which is Cathy Clouston & Mags ! Congrats and please email Lora at (lora at onecrazystamper dot com) to claim your prize. 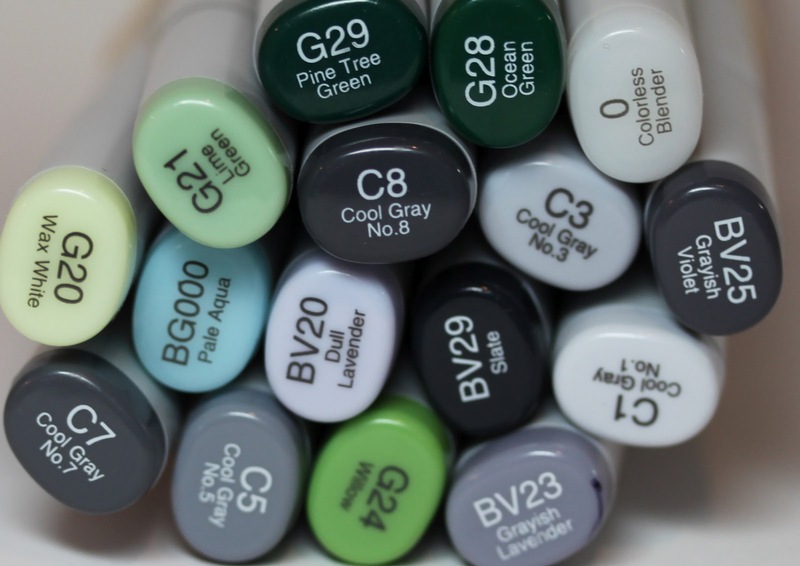 Check back tomorrow for a new COLOR challenge! available at One Crazy Stamper. 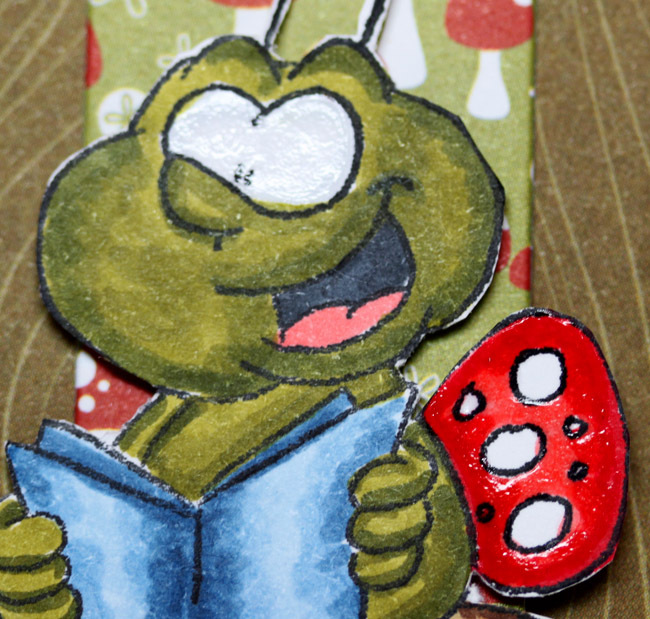 I made this bookmark, yes I am getting ready for school. 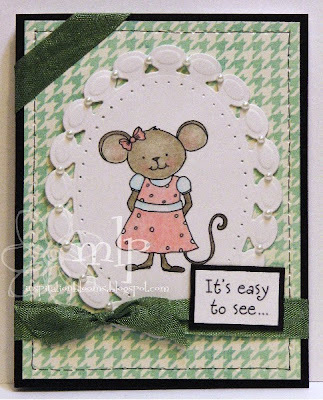 The adorable stamp is from High Hopes Fairy Tale Bug. I added the clear glaze pen to his eyes and wing. 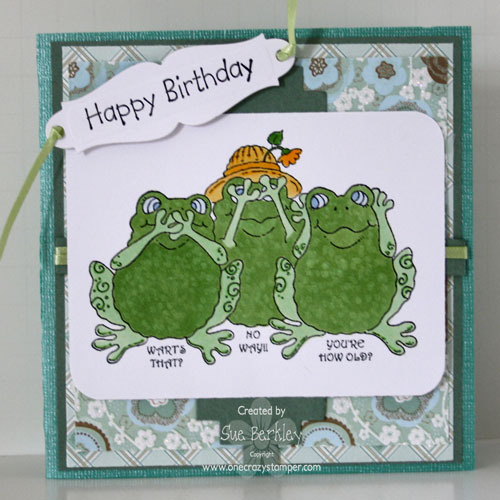 Check out all the new items from One Crazy Stamper and watch for our birthday celebration coming September 8th! Hi all, Madge here for another Wonderful Wednesday at OCS. I’ve chosen to make a Circular Stair-Step card today using “Wings of Hope” from the wonderful Chrissie Armstrong designs for Whimsy Stamps . I thought I would make the last of the summer-ie cards. Remember those days of our youth when the Carousel Ride was the only one we could go on. I do, being the shortest person in our family and the youngest and shortest of all my friends – I was soooo happy when I could graduate to the Ferris Wheel and the Octopus. Ok, I’m really dating myself. Materials used: Wings of Hope; Xpress it blend cardstock; Ranger Archival Black Ink/ Copic Markers; Spellbinders die, Circle Cutter (6 “ and 5 3/4” circle). Flowers; Paper from stash; Crackle Glossy Accents. This will be my last post for August – so until next week. Stamp up a storm, ink up a wish and send it on to someone to brighten their day. Here she is - the last of the four images featuring Kraftin Kimmie's July Release of movie superstars. This is "Lana"!!!! 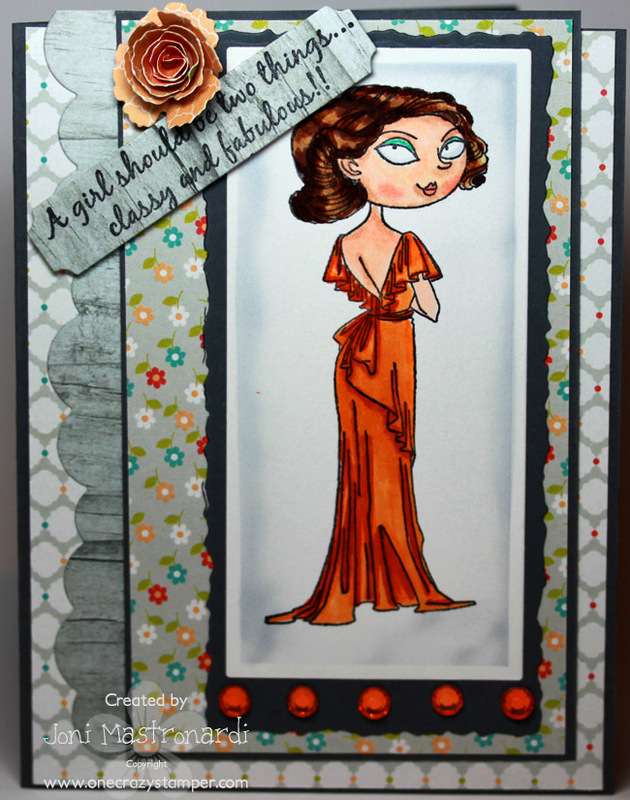 As usual, she is colored with Copics, then cut and matted with Spellbinders Label 4 dies, including the Grand dies set. The sentiment is included with the image and is highlighted with bright pink ink. I also used the Sakura Star Dust pen to add sparkles to her dress. The dp's are from My Mind's Eye Meadowlark, and American Crafts Amy Tangerine Sketchbook collection. Rhinestones and the decorative button are from my stash. You still have a couple of days to enter the challenge here at One Crazy Stamper to win an awesome prize - for full details please click here. I have a very Victorian feel card for you today for you today for One Crazy Stamper. I used some beautiful dies for today's card on some tan cardstock. The edge die is Lace Light Deco Border from Cheery Lynn Designs. The oval is the Lacey Oval CR1204 from Mariann Design. For a fun touch I threaded some pink/white bakers twine through circular holes on the oval die. A simple tip for you....use a dab of glue to twist the *needle end* of your thread...and it is simple to sew through the holes with no fraying tip! Papers are from Authentique's Lively collection. I colored the image from Flourishes set From The Desk Of with Prismacolor Pencils. 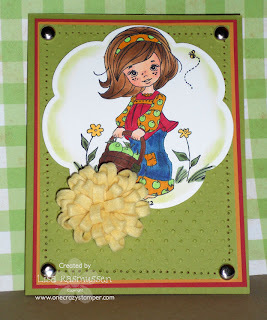 For my last post of the month for One Crazy Stamper, I have used this cute stamp called Curious Little Fairy -- Meljen's Designs from Whimsy Stamps. 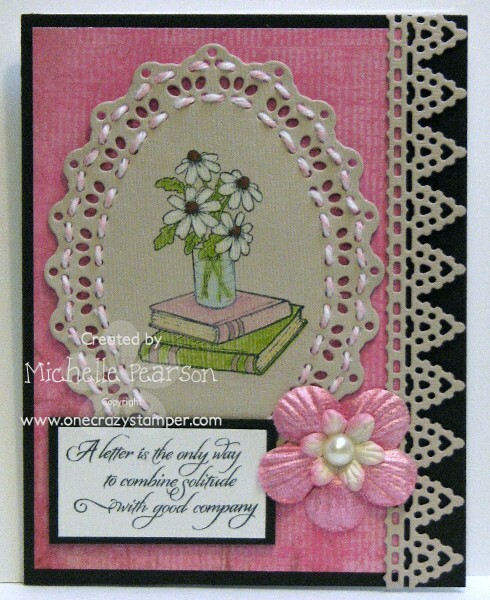 I used the Flourishes, Flowers and Pink and Black row on the Bingo Challenge. There are still a few more days to enter this month's Bingo Challenge before the start of our next challenge. Lora has some amazing deals and new products arriving daily at her store One Crazy Stamper. See you next time and in the meantime have some fun. Oh wow is it super busy! School starts on Monday for me and textbooks are NO joke! Plus I have been redoing my stamp room/office/study area and I have ikea boxes all over my house! Hopefully it will look how I am picturing in my head! I am realizing how much craft stuff I do have though! 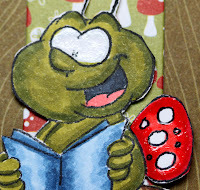 I used fairy tale bug on my card today because school is definitely on my mind. I wanted to color him different and used all kinds of colors on him. Of course I used my copics. I kept it really simple with some twine! It is my 60th Birthday! Yikes, how did I get this old? Oh well, I am happy to be here! Today I have Art Impressions Girlfriends Blend Set available from One Crazy Stamper. Yes I do love my friends and my coffee! Then I fussy cut the image and placed it on an oval die cut. Designer Paper is My Minds Eye: Happy Day. I added some rhinestones for embellishments. Hi everyone Cindy here, welcome to my One Crazy Stamper project. Hi all, Madge here for another wonderful Wednesday at OCS. We still have a “Bingo” or TIC TAC TOE challenge for a chance to win a great prize at OCS. I promised to show more pockets and pages from my A Ladies Diary mini album, however I have a Summery card to share using a Whimsy Stamp called “Sun Kissed”. I absolutely love these images by Elisabeth Bell – they are so pretty. With this image, I watercolored a background of hills – because I thought of the song “The Hills are Alive” from The Sound of Music, when I looked at the image. 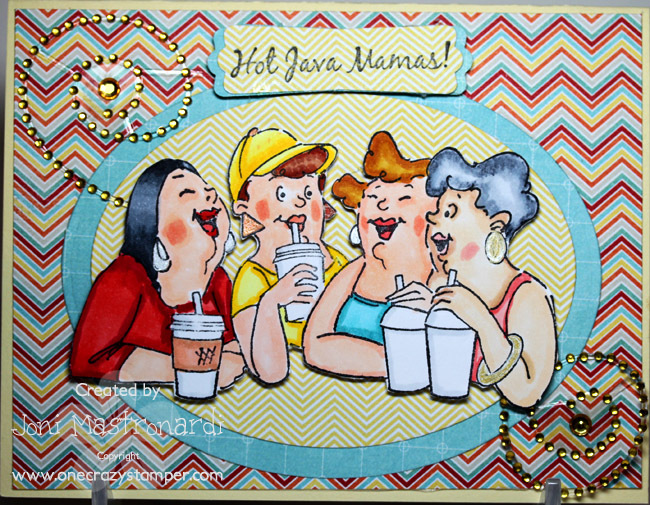 The image was stamped with Ranger Archival Black ink onto Xpress It Blend cardstock and colored with copic markers. The DPS I used is from Echo Park, Flowers from OCS, punch is MS Round-the-page. Til next week, Stamp up a storm, ink up a wish and send it on to someone to brighten their day. 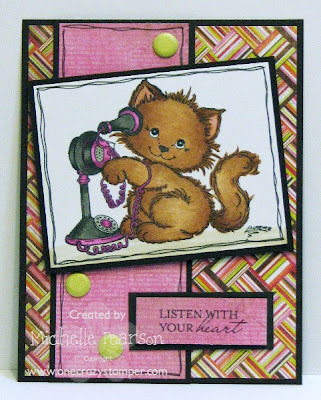 Terrific Tuesday time again for One Crazy Stamper and I have the third of four cards that I have finished using the Kraftin' Kimmie stamps from the July release, and the ongoing theme for this month's bingo challenge! ( This uses the diagional line of pink & black, die cuts/punches and ribbon/twine ). This is "Marilyn" and is available to purchase here. 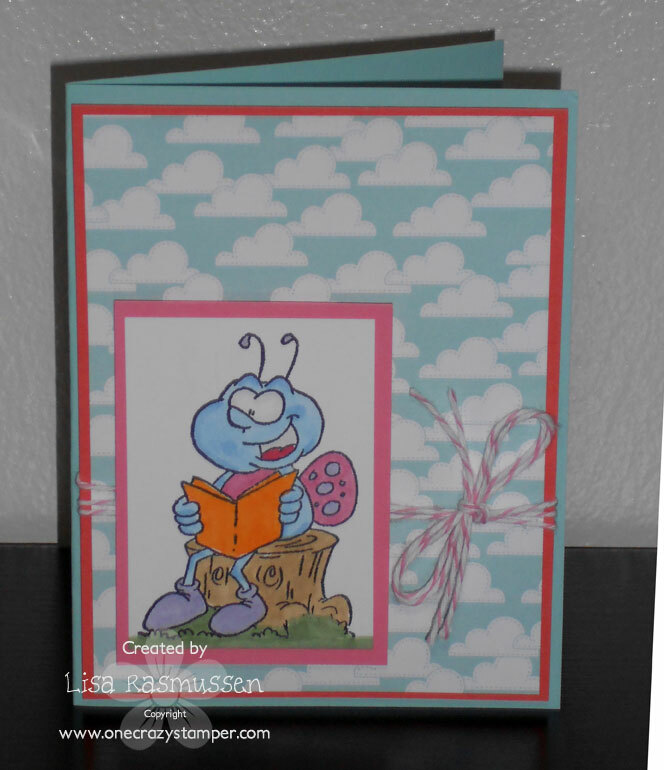 The image is colored with Copics, fussy cut and popped up on the card front dp from My Mind's Eye. The stars were punched with Martha Stewart's Anywhere punch and the black ribbon border is a die from Marianne Designs. All of the stars received a coat of Icicle Stickles to make them twinkle!! ( and yes the same color of stickles were used on the white stars and the black stars on the sentiment ). Happy Monday! It still is Monday, though barely! I ended a rather hectic and un-fun day with a very fun card! This card features the Stamapavie image Hello and a sentiment from the Flourishes set Beauty Within. 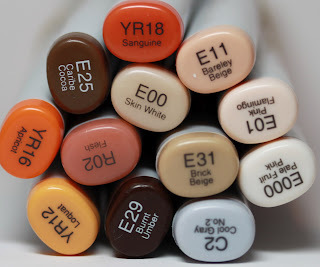 I colored my image with Copic Markers: E37, E35, E33, E42, W7, W5, W3, RV66, RV55. I used papers from Authentique's Lively Collection and some Chocolate Lime Candi Embellishments. 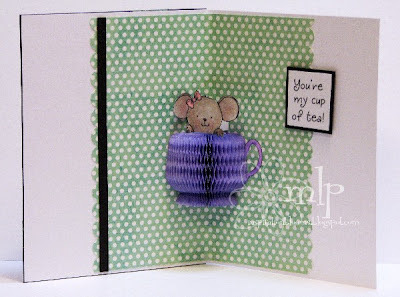 I have used this cute stamp from Stampavie called A Cupboard Full of Surprises for today's post for One Crazy Stamper, and used the Swirls, Die Cut and Polka Dots line on this month's Bingo challenge designed by Madge. To get the swirls, I used one of the swirls in the Two Scoops Swirlie Set by Basic Grey (my stash), stamped it with the Versa mark ink and used Pearlescent Chalk. To similate the polka dots, I used the smallest die from the Spellbinders circle set. 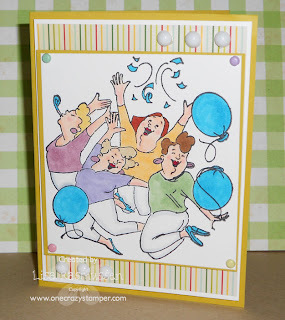 Do enter this month's Bingo challenge for a chance to win a prize from One Crazy Stamper. Today I have another gorgeous stamp from Kraftin Kimmie: Katherine available at One Crazy Stamper. Check out all the new items at One Crazy Stamper. Designer Paper is My Mind's Eye Mother's Love. I added a rolled flower from an MFT die and some rhinestones for bling. Remember our bingo challenge is going all month long. Hi everyone Cindy here, welcome to my One Crazy Stamper project. I have used Wee Stamps (Amy), isn’t she just so PRETTY! !~ I love her. My tree is a Marianne Design, flowers are a MS punch. Hi all, Madge here for another Wonderful Wednesday at OCS. Have you played Bingo with us yet for a chance for a great prize from OCS?? If not, head on over and give it a whirl. I have another picture to share today of our daughter and her Dad in a friendly game of Backgammon. You can see why we didn’t really want to leave. Ok, on with “A Ladies Diary”! I am still working on the cover, but here is another insert in the mini album. AND, it happens to fall into a BINGO line. Pink & Black; Die cut / Punch; Ribbon / Twine. There are two hidden pockets on the right side. The far right one opens to display another lady and a photo collage, the center right pulls up for a fold out of pictures and journaling. (Sorry – can’t show you for real). Next week I promise – I will be able to show off more of the hidden pockets. Til next Wed. “Stamp up a Storm, ink up a wish and send it on to someone to brighten their day”. Terrific Tuesday is here again, and I have another fabulous card to show you today that uses the challenge Bingo theme. This card has the colors Pink/Black, Flowers, and Swirls - all from the first vertical line of the Bingo. "Katherine" from Kraftin' Kimmie was stamped with Tsukineko Memento Tuxedo Black ink on Copic Xpress It cardstock, then colored with Copics. After fussy cutting her, I popped her up on the card front featuring the sentiment included with the image, stamped on silver matte foil paper with Tsukeniko Staz On Jet Black ink. The sentiment was framed with a Marianne Designs die cut from black suede paper, and highlighted with Viva Decor Anthracite pearls. The swirls were cut with either Memory Box's Elegant Scrollwork or Cheery Lynn's Mega Flourish Two. The flowers were from my stash. Today I have a happy card for my One Crazy Stamper post. It features the Inky Antics set Tea Cup Mouse. I colored my image with Prismacolor Pencils and used the Gamsol to blend my colors. The inside features a HoneyPop surprise! Lots of new goodies in the store...be sure you pop by and check them out! For my post today, I have used this adorable stamp called Wart's That Frogs from High Hopes Rubber Stamps. It is absolutely suitable for my daughter in law, whose birthday was Thursday and is absolutely adamant that she is always 29 -- instead of 30 which she actually is. Don't forget to join us for this month's Bingo challenge which was designed by Madge for a chance to win a prize package from One Crazy Stamper. While you are stamping up a storm, check out Lora's store One Crazy Stamper for all the new products that are arriving daily and the amazing deals. I used the super cute Party Girls from Art Impressions. Usually I am overwhelmed with larger images because I always have trouble getting nice, clean, crisp impressions. Boy was this a no brainer! A perfect impression the FIRST time! Plus these girls are super fun to color! I love using copics and this was a fun image. 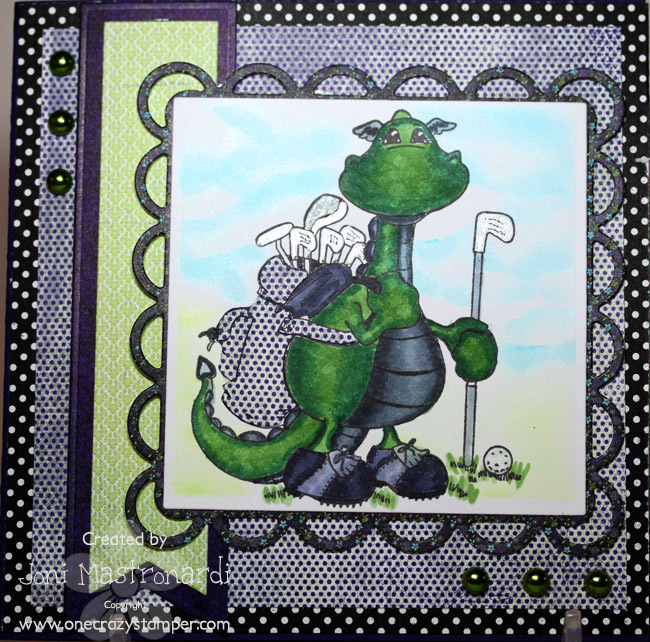 Today I have this adorable Bart Goes Golfing from Whimsy Stamps available at One Crazy Stamper. I stamped him with Memento Black ink onto Xpress It Card stock and colored him with copics. I airbrushed the clouds and grass. This month we have a fun challenge for you. 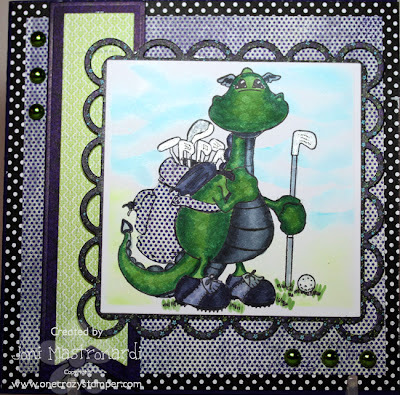 Madge created a fun Bingo Challenge for us this month. You must choose 3 of the options below to add to your project. Your 3 choices should create a Bingo on the below card. For example, swirls, die cut, polka dots. 2 lucky participant will win a stamp & sentiment stamp from the One Crazy Stamper store!! Still on vacation and even though we were going to be home after a week we decided to stay! I think it’s safe to say, we are enjoying the Pacific Ocean immensely! This picture was taken with a full moon.. .. .. Then there is the daytime with a beach to enjoy to the fullest. We are at Boundary Bay in Tswassen, and in the backbround is the elusive Mt. Baker, WA across the bay. I say elusive, because it is very shy – not always wanting to share it’s beauty. OK, to get on to my post today……. I was so happy that Lora at One Crazy Stamper added Graphics 45, “A Ladies Diary” to her inventory. I am such a Shabby Chic / Vintage lover……and this paper is to die for! I have put together a paper bag book for a very, very special lady – she is not a Vintage lover, but I’m hoping that this will sway her a bit. It is a surprise – so, don’t say anything…….lol. I have put a great deal of work into this mini album, and decided to share two pages of it at a time. I LUV, LUV, LUV mini books and with “A Ladies Diary” I have made secret hiding places for journaling and notes. I’ve had a lot of fun thinking up little pockets for secrets. Unfortunately, since I am not at home, where the book is making it impossible to take pics of how the tags and flaps unfold (). I have cut pieces of the paper to add 3D elements to the pages along with flowers. I apologize for the paper clips, but the pages would not remain open for photographing. The two tags on the left side pull out; the tag on the right pulls up and the flap on the right opens up for a hidden pocket. Don’t you just love the flowers and the clocks for the center folds?? I’ve also used glossy accents throughout this album which is shown on the flowers on the left side keeping a tiny envelope and note in place. Hope this gives you some inspiration to use “A Ladies Diary” . Remember, Stamp up a storm, ink up a wish and send it on to someone to brighten their day.